If normal cars, trucks, and other assorted vehicles in Crossout aren’t big enough for you, now you can try something even larger. Gaijin Entertainment and Targem Games have announced a new Clan Wars game mode, Leviathans, for Crossout, which lets you get behind the wheel of some of the biggest mechanized monstrosities to ever grace the wasteland. Leviathans were previously only in the game as bosses for players to fight in PvE missions, but this new 4v4 mode will put one player from each side at the helm of a Leviathan. Leviathan battles are enabled for this week, May 21 through the 27, after which they’ll be evaluated and considered for implementation in the main game. The current 0.9.70 patch also includes new security to track players using prohibited programs, and there’s a new Spectral Hunter pack to purchase that contains a unique armored car, the Beater, along with various other vehicular components. 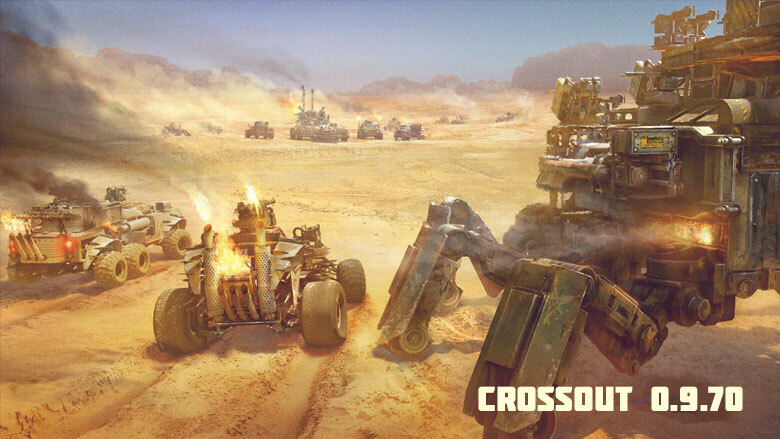 Learn more on the Crossout site.